I’m not sure how we get to photograph the world’s cutest couples… but we do! Ali and Micah knocked their engagement session out of the park. We had a blast exploring a downtown parking deck and Southside church to get these images, and we couldn’t have asked for more! We love their gorgeous smiles and how natural they are with each other! Ali and Micah met through a mutual friend (a friend who warned Micah not to flirt with Ali… and he didn’t listen, obviously! ), and they got engaged about two years later. Now, they are planning their wedding! 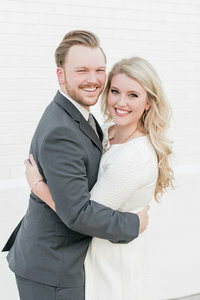 Ali and Micah are getting married in October at Shoal Creek Country Club. It’s going to be beautiful, and we can’t wait!